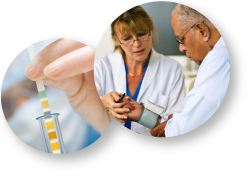 The clinical research centers of the CRIC Study include the University of Pennsylvania, Johns Hopkins Medicine / University of Maryland, University Hospitals of Cleveland / MetroHealth Medical Center / Cleveland Clinic Foundation, University of Michigan at Ann Arbor / Renaissance Renal Research Institute / Wayne State University, University of Illinois at Chicago, Tulane University Health Science Center, and Kaiser Permanente of Northern California/University of California at San Francisco. The Scientific and Data Coordinating Center for the CRIC Study is located at the University of Pennsylvania. Contact: Thida C. Tan, M.P.H.